Wolfenstein 2 - Who is the Voice Actor for William 'B.J.' Blazkowicz? William “B.J.” Blazkowicz has an epic voice. Who is the voice actor behind the hero? If you haven’t played a Wolfenstein game before, you’ll take notice of the smooth sounds of William “B.J.” Blazkowicz almost as soon as you hear his voice in Wolfenstein 2: The New Colossus. It has a way of pulling you further into the story and character that most voice actors can’t match. Even in the opening moments of the first mission of The New Colossus, Blazkowicz had me both sad and motivated to get on with my Nazi killing ways. The man behind William “B.J.” Blazkowicz is Brian Bloom. He’s been the voice of Blazkowicz since 2014 when he first took on the role in Wolfenstein: The New Order. 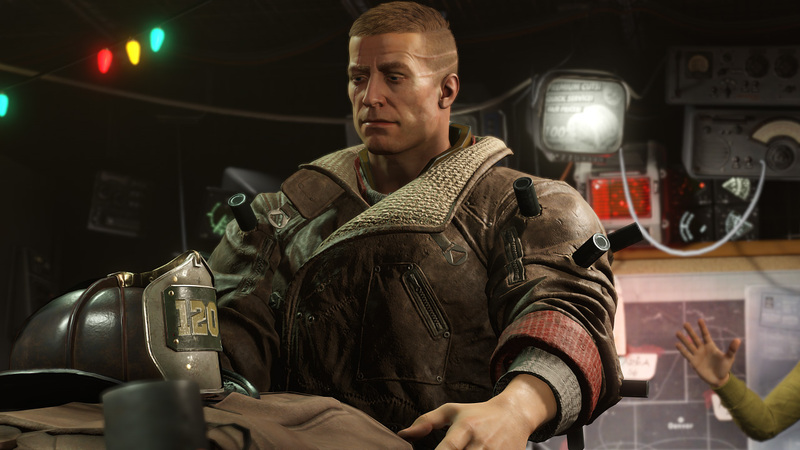 He reprised the role in Wolfenstein: The Old Blood, and is back for his third go as Blazkowicz in Wolfenstein: The New Colossus. What struck me as odd when I first heard Brian Bloom’s voice after a couple of years was that I couldn’t recall hearing it in other games. This prompted me to go online and do some digging. As it turns out, Bloom has quite the resume, having appeared in numerous movies and television shows. He also has voice acting credits in a couple dozen video games, including various Call of Duty titles, Titanfall, Evolve, Dragon Age: Inquisition, and Batman: Arkham Knight. Bloom isn’t the only great voice acting performance in Wolfenstein 2: The New Colossus. Many of the voice actors are worth looking up. If you’re curious about who voices Fergus or Anya, perhaps have a look at the Wolfenstein 2: The New Colossus IMDB page. William “B.J.” Blazkowicz is on a crazy journey this time around. Be sure to visit the Shacknews Wolfenstein 2: The New Colossus walkthrough and guide for more information to help you along.